The government continues its approach towards full meltdown. The stock market does too. But when it comes down to it, these are mere distractions from the bigger breakdown that is bearing down upon us. Average working stiffs have little time or inclination to contemplate gibberish from the Fed. They are too worn out from running in place all day to make much of it. This fact accounts for the limited inkling the populace has for why there is a great prosperity imbalance between wage earners and the creams. If there was a better understanding of the scope and scale of the orchestrated larceny being conducted, practitioners of mass money debasement would be tarred, feathered and paraded down Main Street. This seems a small penalty for turning markets into casinos and debasing the rewards of an honest day’s work. Instead, they preserve their misplaced stature through the backwards process of taking the absurdly simple and twisting it up into the inordinately complex. Several months ago, roughly in mid-May, the yield on the 10-Year Treasury note briefly eclipsed 3 percent. This prompted numerous articles – including one of our own – on the possible end of the great Treasury bond bubble. But then, just as quickly as a pickpocket disappears into a crowded street, the yield on the 10-Year Treasury note slipped back below 3 percent. Now, as the days grow shorter, the yield on the 10-Year Treasury note is again pushing above 3 percent, at roughly 3.22 percent. The yield on the 30-Year Treasury note – the long bond – is about 16 basis points higher. Both are trending up, though generally at a slower incline than the Fed’s technocratic increases to the federal funds rate. No doubt, it is discrepancies like these that compel central bankers to seek metaphysical guidance. On Monday, for example, Minneapolis Fed President Neel Kashkari did something uncommon. The man with the crazy eyes – and even crazier ideas – went derelict from his duty of staring at daily Treasury yield curves. Instead, with focus and intensity, he directed his full energy into the ether. Apparently, these divine words from the bond market, though counter to the Fed’s dot plot, have convinced Kashkari there is no need for further increases to the federal funds rate. 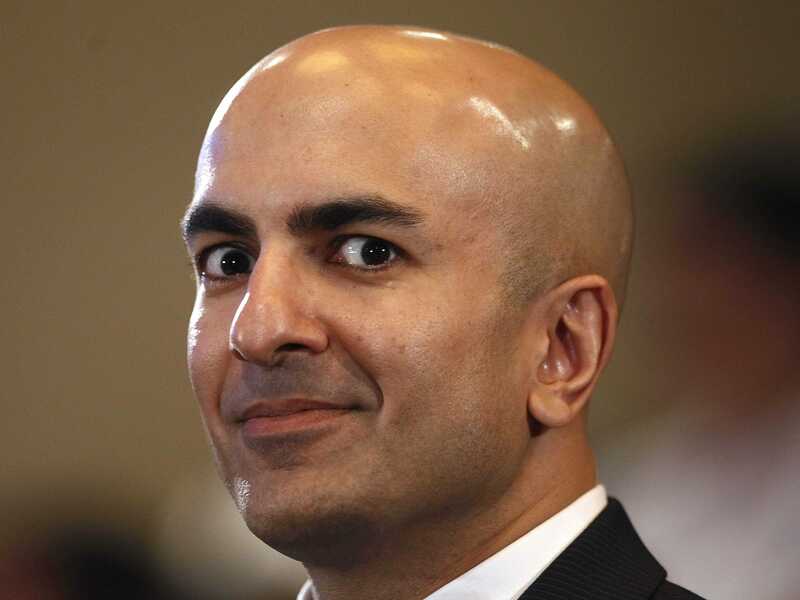 Kashkari, without question, is an extreme economic interventionist. He is also a crackpot. Though he wears his burdens on his sleeve. If you recall, as federal bailout chief, he functioned as the highly visible hand of the market. When the sky was falling in early 2009, Kashkari awoke each morning, put on his pants, drank his coffee, and rapidly dispersed Hank Paulson’s $700 billion of TARP funds to the government’s preferred financial institutions. Incidentally, the experience had an ill effect on Kashkari’s mental health. Soon after, he became a hermit, took to a cabin in the Sierra Nevada Mountains – near Donner Pass – and pursued his life’s new purpose of chopping wood. We thought we had seen the last of him. But alas, it is impossible for true believers to amiably exit the trappings of public life for good. After a failed California gubernatorial campaign in 2014, losing to retread Governor Jerry Moonbeam Brown, Kashkari resurfaced as Minneapolis Fed President in 2016. We suppose this position was his reward for the abuse heaped upon him from grandstanding Senators while handing out vast sums of taxpayer dollars – your dollars – to Wall Street banks. Kashkari, taken at his word, is all for the perpetual bubbles that result from endless Fed induced credit creation. This, based on his vision of monetary policy, is how to improve economic output, create jobs, and deliver a world of full employment. Quite frankly, it is nonsense. But at least he is open about it. How all of this plays out is anyone’s guess. The current American experience of debt servitude establishes that the transition to a cycle of rising interest rates will be accompanied by mass defaults. Moreover, there is a massive 80 year buildup of public, private, and corporate debt to be purged from the financial system. We suspect the reckoning will be extraordinarily disruptive. Yet the bubble persists. The true believers in the magic of Kashkari have a lot of stamina. I never would have believed it would last this long but now I think it could go for decades longer.